YOU WILL NEED TO SCROLL TO THE BOTTOM OF THIS PAGE FOR ALL UPDATED INFORMATION AS IT IS ADDED — THAT’S WHERE THE CLUE LINKS WILL BE. As to the actual mystery quilt design, I do consider the design a “modern” quilt design more so than a traditional looking one — could be the colors I colored it in EQ make it look more modern to me, could be because I didn’t put any borders on it, but I think it is also because it has more “white space” (background) around certain elements so it not set in regular rows or sashed, which means there’s some great areas to show off your quilting. 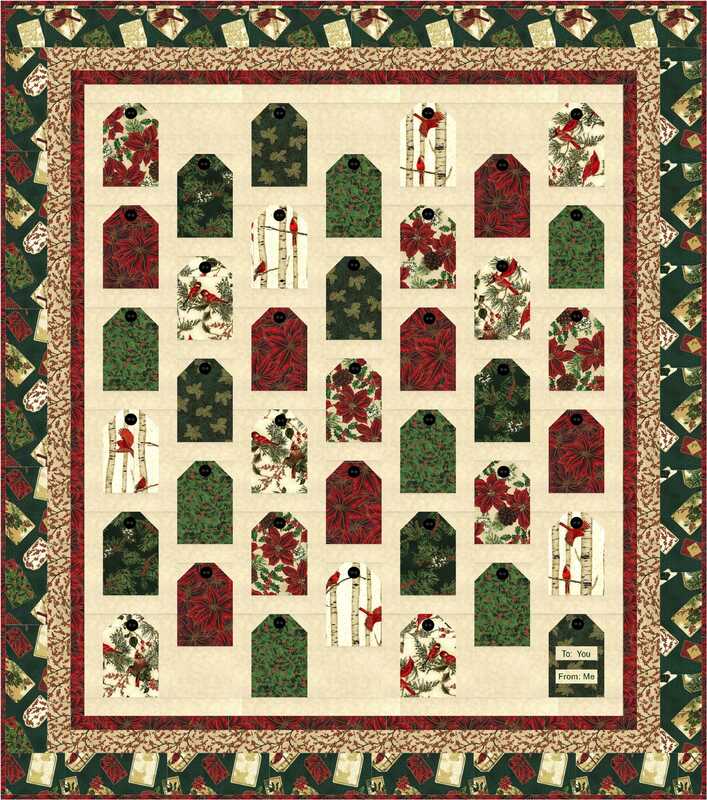 WHAT TYPE OF PROJECT IS IT: A mystery quilt sew along – all pieced, no applique or paper piecing. The size will be 65 x 75. You could add borders to enlarge it if you wish. 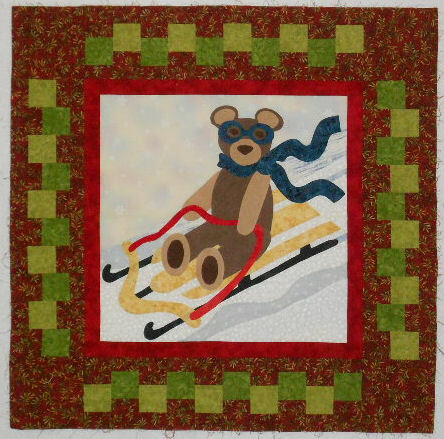 WHERE: For The Quilting Post gals – clues will be posted in our group files as long as Yahoo is being cooperative that day and will be left up there for an extended period of time. For blog readers who aren’t part of TQP, links to the clues will be updated on this page as they become available. Clues will remain available until the end of January for you to download and then will be removed. If you have never done one of my free projects before, please go to the top of the blog and click “Copyright/Use of My Patterns”. There is info you need there including the correct way to save the Box.net downloads posted for blog readers in order to access them later from your computer if you wish to do so. Many people do not do this properly and are disappointed later when they cannot find their pattern files. The links for clues will take you to the Box.net site – you do not need an account or anything to access the clue downloads. 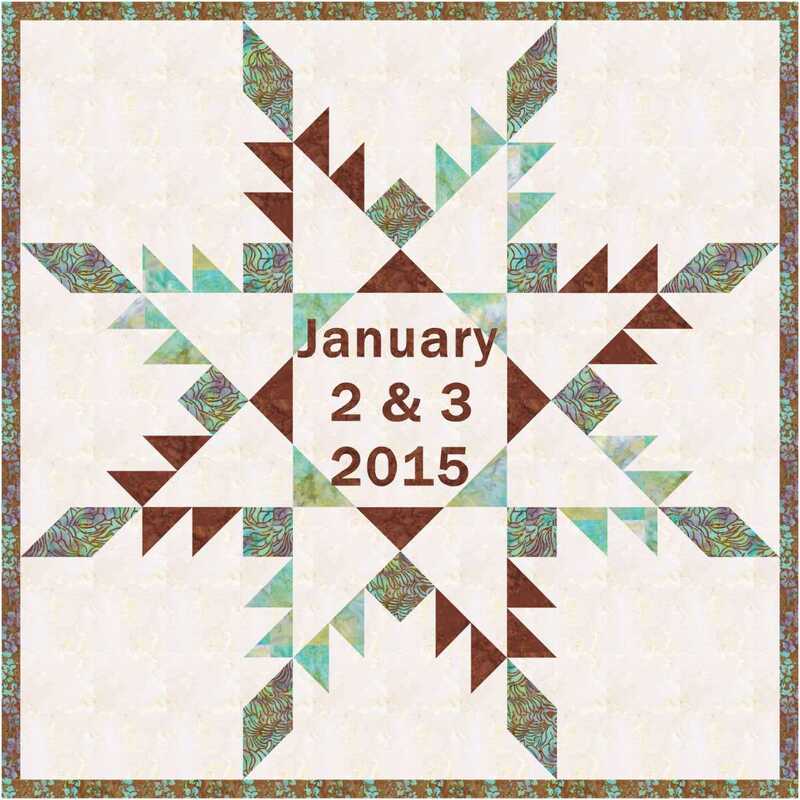 WHEN: Rotary cutting instructions will be posted the afternoon of Friday, January 2. Actual sewing clues will begin posting at 6:00 a.m. CST on Saturday, January 3 and will continue throughout the day. I haven’t finished writing up clues (heck I haven’t started yet as of my typing this) so not sure how many clues the design will be broken down into. HOW DO YOU JOIN IN: You simply come back to this page or the TQP files to get the cutting instructions and clues at the appointed time/date. WHAT YOU NEED: Your general sewing/quilting paraphernalia (rotary cutter and rulers) and yardage as follows: You will need five fabrics. I’m doing mine in solids. I think the design would look best in solids, batiks, or tone on tone fabrics. No one-way or stripes unless you don’t care that they would end up all topsy-turvy in your quilt top. The yardage amounts are estimates generated by Electric Quilt. Fabric 4: 1-3/8 yard – this includes binding yardage and is the color that will sort of pop compared to the others in my quilt. One important reminder – because these files are saved on Box.net (you did read the “copyright/use of my files info” didn’t you to learn how Box.net works if you’ve never downloaded from them before didn’t you??) and because there may be many people accessing them at the same time, if you get an error message that you can’t access the file, please do not immediately email me or leave a blog comment saying you can’t get the pattern. The links are always tested to make sure they work but because of the number of people trying to access during a short period of time, occasionally box.net will send out error messages, exceed bandwidth or some other such error that I personally can’t do anything to correct for you. You will need to exercise a bit of patience, and try again a little later. CLUE 10 — the final clue!!!!! I’m going to wait until Monday for the design wall linkup to show what my top looks like. Feel free to load photos of your tops to the Justquiltin Flickr group – link is in sidebar. Ks , again, for the pattern. It goes together very nicely! What a great quilt! You’ve outdone yourself, but then again, you ALWAYS do!! Thank you for a wonderful pattern. Having been sick, it was nice to see each part as it was revealed. Have the perfect fabrics in mine and will be able to reduce my stash! (said with tongue in cheek). You did find the right place to load photos – they get loaded to my Flickr group. I am starting to join all the blocks , the qiuilt is beautiful,as all of your designs are. Thank you for sharing with all of us. Working on clue 8. Love this! Thanks for planning a mystery quilt for all of us. It makes starting the New Year with bang (well, in a way)—-okay, it makes the first few days fun. Now, could you make up a pattern of the above birds with hat, boots, and streamers for us. Love those birds! I could see a “Birds of the Month” in my future. Please think about it. Thank you so much for your time and allowing me to be a part of this mystery quilt. Thank you so much for sharing. What fun!! Still working on clue 1 – but getting closer. Stitching away! Clue 1 done. Love what you do, Keep the fun coming! Got all of my fabrics and cutting done, and am sewing now! I can’t seem to find the cutting clue. I see something about it, but it isn’t linked to anything. Am I early or what am I doing wrong????? How did you get in? I still only see the words “CUTTING INSTRUCTIONS….” and no way to get anywhere else to actually see the cutting instructions. Help please! The link is not active yet – I’m busy with some other things. It simply says it will be made available in the P.M. – there are many hours left in the P.M. – I will get to it shortly. Patience please. OK, I bought all my fabrics on Tuesday for this! I am excited because while I have participated in challenges before, I have never participated in a mystery quilt along. Nervous to make the cuts, but I did read the link information for downloading to save. Thank you! Washed, pressed, hanging on the bannister awaiting the clues! would love to join in.Thanks and Happy New Year! Excited about this one. I will be using batiks. I can’t wait to get started. Yay!!! Hi! 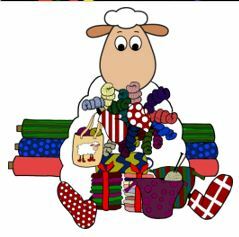 Merry Christmas, Denise and friends! Thanks for another fun opportunity to start the New Year! Blessings and safe travels, for those who must. Catch y’all on Jan2, 2015. Looks like fun! I have tried to find the Yahoo Group to no avail. I will try and keep watch here. The yahoo group is a closed group – not accepting new members. Have not done a mystery bom before. Looking forward to starting this one. This is not a BOM project – just a weekend mystery quilt along. Love your colors. I’m in! !